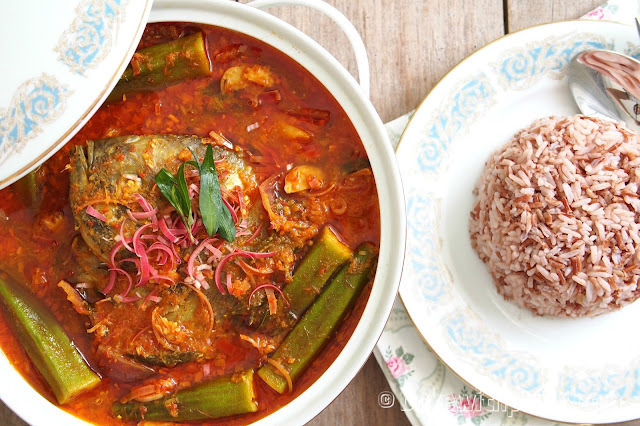 Asam Pedas Fish (Sour Fish Curry)! This is one of my late mother’s dishes that I miss. She cooked excellent asam pedas fish and she liked to use stingray. However, it is a little hard to find stingray in KL of late. So, I used black pomfret instead. 1 bunga Kantan (Torch Ginger Flower Bud), cut into half and slice thinly. In a wok or pot, heat oil over medium heat and saute ground spices paste until fragrant. Add some water, daun kesom, bunga kantan and pineapple. Stir and cook for a short while, add in lady fingers, onion and all the seasoning ingredients. Stir and simmer until lady fingers are cooked and remove the lady fingers to prevent from become soggy. Add in fish and the remaining water. Cook for 10 to 15 minutes until fish is cooked. 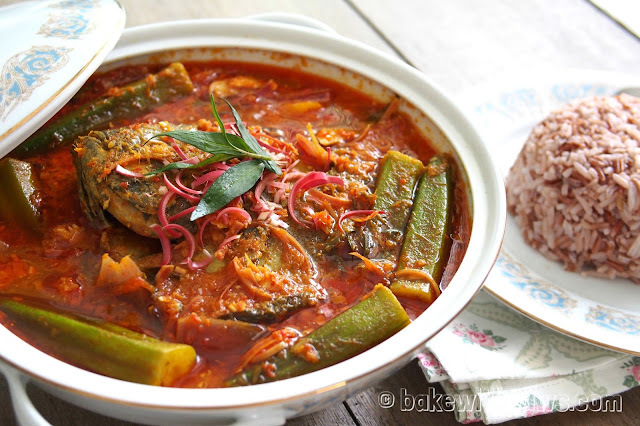 Transfer back the cooked lady fingers to Asam Pedas. I omitted belacan to keep it healthy but adding belacan would enhance the flavour. The amount of water is just a guideline. You may use less or more depending on the consistency you like. The pineapple is optional. 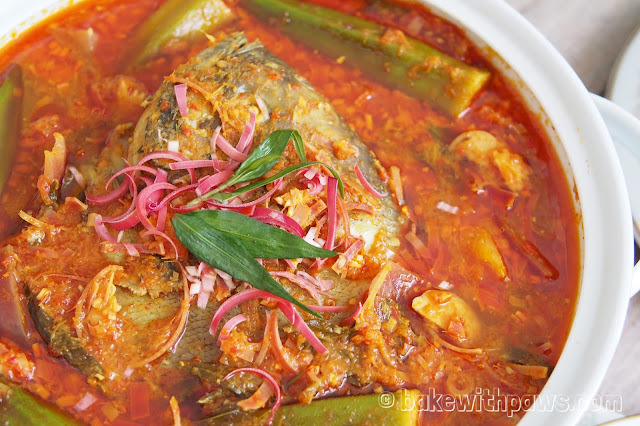 It is just to add some sweetness and flavour to the dish.